I’m going to watch the Watchmen. Well, I’m going to break down and see it tonight. Until then, here is something so perfect, I had to share it. If you’ve read the book (or seen the movie, I guess), there are so many in jokes here…I love that Rorschach is a “friend to the animals,” especially to those dogs. My god, that’s funny stuff. 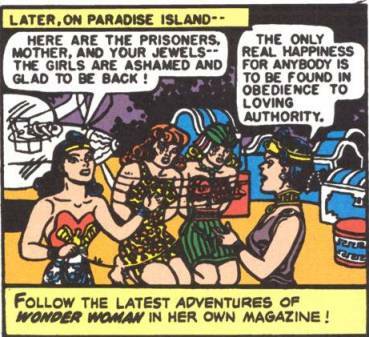 As many may know, William Moulton Marston created Wonder Woman in order to give girls a role model that not only was strong and brave, but also had all the qualities that a woman should have. I’m looking into ways to become politically active, as America is not working the way that it is, and I realized that I cannot afford to join The Democratic SOCIALISTS of America!